We customize your website with a design approach that reflects the tone and dynamics of your business. We can create a new logo for your company and can obtain photographs and images that will enhance the feel of your website and help promote your business. See our example portfolio. Great design also means that your site is well organized and easy to read. We design intuitive menus that take your visitors to the information they seek. Your website can include audio, video, a Google map, a contact form, a blog, all at no extra price. We employ industry-standard search engine optimization techniques to enhance your site's rankings in Google, Bing, Yahoo and other search engines. We can integrate an easy-to-use shopping cart that will let you sell products or services directly from your site, with easy secure payment with PayPal or Google Checkout. With websites increasingly being consulted on iPhones and smartphones, mobile device compatibility is a must, and we provide it at no extra cost. Visitors arriving at your website via smartphone are automatically shown the mobile version of your site, while those viewing your website on a desktop computer are shown the full-screen version. Making changes to your site is a breeze. We provide training to get you started. 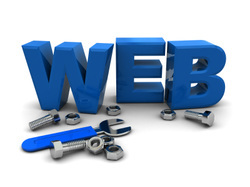 As your web partner, we can make quick modifications and help develop your web assets as your needs evolve. Here's a step-by-step showing what we do"
Step 1: First, lets talk. This conversation will help us conceive the most compelling and appropriate design elements, web tools and editorial content for your site. Our aim is to design a website that will communicate effectively with your target and achieve your company's goals. Taking your company's business goals into account, we will design a customized template (also called a theme) and header for your website, integrating your logo and color preferences. If you don't have a logo, we can design one for you. We'll also integrate an easy-to-use navigation menu so your visitors can intuitively discover what they seek to know about you or your company in a clear and logical manner. See our website design portfolio. Step 3: Content: Finding the words and images to tell your story. • Blog Consultation: we can show you how keeping a blog will help you get your website to show highly in Google's search results. This can be a simple message form (submitted inquiries are sent to your email address) or it could be expanded with a range of option and check-off boxes that can serve to qualify your prospects or solicit detailed quotes. If you have a retail store or have customers visit your place of business, a map providing easy directions to your company is a well appreciated feature for your website. We program your business address in the map so customers will find you from anywhere. Sound can add dynamics to your site, even help tell your story. We can embed almost any soundtrack in your site, helping bolster the environment you wish to establish. The music can start automatically when the visitor arrives, or be controlled by visitor. An audio player can also serve as a platform for podcasts. Here you can welcome your visitors personally to your site. You can share a bit of your knowledge, adding authority and credibility to your site. With an audio podcast you can present your product or service in your own voice, style and personality. We can write the script for you, record your voice and install your podcast in the audio player. Video can be used within your website design to make your business activity come alive. If you already have a video appropriate to your business we can embed it so visitors can view it without leaving your page. We can also produce a promotional video of your business that you can use on your site, on YouTube and on your social networks, generating loads of free referrals for your business. We can install a photographic slideshow on your site, allowing you to display a collection of images to help tell your story. If you are a landscape architect, this could be a collection of your garden designs; if you run a school, you might wish to display a portfolio of your happy students. Your slideshow can be be formatted to suit your requirements. You can also choose to have a Photo Gallery that shows a collection of your images without movement. You can have a blog as one of your pages. A blog allows you and/or your staff to present your views on a range of subjects related to your business or professional activity. Your visitors will be able to respond (which you can monitor), thus giving you the opportunity to establish a public dialog with your customers. Step 5. Back-office administrative services done for you. • Register your new domain name (i.e., www.yourdomain.com) or transfer your existing domain name to your new site. • Train: We will teach you how to the website works so you can easily make modifications, even add pages and features, in the future. • Create and submit a sitemap of your new site to Google so it can be indexed and begin ranking in Google's search engine. Step 6. Reliable cloud-based hosting for your site. Your website is hosted by our data-center's cloud based hosting infrastructure.Your website lives in two data center locations across the United States to provide superior up-time, fast response time, and reliability compared to most any other hosting. How is this possible? On a traditional web host, your website shares disk space and CPU power with dozens or sometimes hundreds of other customers on a single server. If one of those other customer’s websites has a big traffic spike, all websites on that server can slow to a crawl. In contrast, your website is served across our entire server infrastructure that powers millions of websites and page views per day. If your website is featured on the homepage of CNN.com, it won’t cause as much as a hiccup in the performance of your website. Step 7. Quick and professional customer service. We aim to be your business partner over the long term. That means we will be there for you when your site needs updating or modifications. Most changes are handled the same day they are requested. We are also available to brainstorm with you on new features you can introduce as well as marketing strategies you can employ to drive more traffic to your site and enhance your web presence.